The hydraulic cylinders are designed together with our customers and they can achieve third-party certifications in conformity with Quality Surveyors international law. 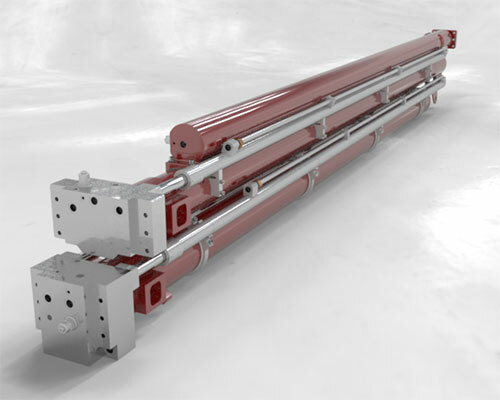 We manufacture cylinders with telescopic progressive stages, controlled with integrated hoses and customized control systems. Our experience of over 50 years is at the service of our customers, so they can be offered the best solutions in terms of lightness, flexibility, dynamism and toughness. Double acting cylinder multi- stages. Progressive, synchronized extension functionality, both in going out and in return. Power supply with valves fixed on the rod-eye. Slide rings with high compressive strength and exceptional wear resistance.